The 11th Balkan Entertainment & Gaming Expo starts on 21th November, Wednesday and will welcome visitors and participants with a spectacular opening ceremony, featuring notable figures from the international gaming industry. In the exhibition will take part nearly 90 exhibiting companies and total of more than 5000 visitors are expected to attend the two days. 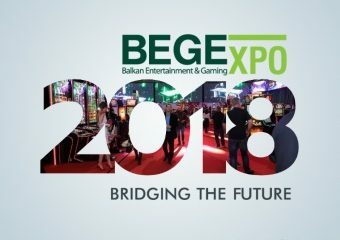 In the official opening ceremony of BEGE 2018 will be led by Mr. Angel Iribozov – Chairman of the Bulgarian Trade Association of Manufacturers and Operators in the Gaming Industry (BTAMOGI). He will be accompanied by Mr. David Orrick - a 25 years veteran of the international gaming industry and Director of Industry Relations with Merkur Gaming, a member of Germany’s Gauselmann Group and Mr. Gyursel Kyorov – General Manager of Princess Ramada Sofia and Ramada Plazza Gevgeliya, Macedonia. Together they will cut the ribbon at 11:30 on 21st of November. All guests and visitors are welcome. The 11th BEGE comes with intense program for both days of the exhibition. After the official opening all guest will be able to attend product presentations from the leading gaming companies Altenar, Betegy, Pragmatic Solutions and intelliStack. Later the same day BEGE will grant all fans of the Bulgarian football team CSKA to meet and greet with the football legends. An epic day will be finished with an epic night. The official BEGE Party will start with glamorous BEGE Award Ceremony , honoring people and companies for special contribution and excellent achievement in the industry. Finally, the night will end with fabulous music and atmosphere. On the second day product presentations will be held by UltraPlay, Casino Technology, Novomatic, Military Communication Works No 1 S.A. And JCM Europe GmbH. The entrepreneurs from the industry will be in the spotlights on Day 2. The Gaming StartUp Challenge 3.0 will take place from 13:30 with pitches from Bethereum, EyeMotion, intelliStack, Tripeaks Games, Wish me Luck and ZenSports. More info about the companies and the contest you can find on the website. Many of the leading companies in the sector will introduce new products during the exhibition. In the branch of components presented by Alberici this year there is an absolute novelty above all: the dispenser Enjoy. Betegy is going to introduce its IMPACT - an automated content creation system which turns sports data into engaging graphics, widgets, banners, texts and animations. Bethereum combines Blockchain and Smart Contracts to ensure full transparency and security, while innovative social elements deliver a truly rewarding experience. Critique Gaming created Builder's Poker - modification of standard Texas Hold'em Poker. 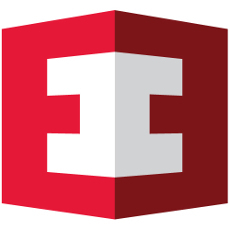 The software provider for iGaming industry Eye Motion will present HTML5, branded slot games, Intellectual Property games with custom Eye engine and social gaming platform. Innovative Technology will show the most technically advanced note validator in its class – NV9 Spectral. 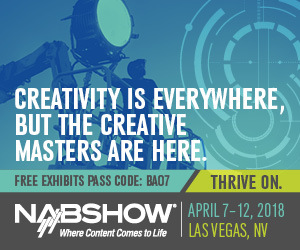 At BEGE, JCM will present innovative solutions that empower operators to connect with customers - PixelPro Max displays with HD and UHD frameless LED screens with industry-leading color contrasts for curved or flat walls, indoors and outdoors. Novomatic will offer to the representatives of the companies to enrich their floor with the Diamond among the Roulettes which connect all Impera Line™ slot games to the Roulette station and offer players the possibility to play their favorite slot titles alongside Roulette. The new jackpot system of EGT - Dragon’s Turn is in the stylish Curved cabinets of EGT – P-42V St and Up. CT????? Don't forget to make your online registration in advance. BEGE promises an intense two-day journey into the world of technologies and never ending advances of the vast gaming industry. EEGS - the annual gaming conference, which keeps you on track with the latest regulatory and technological developments in Eastern Europe. The event gathers 200+ industry representatives from 22 countries, helping them gain in-depth knowledge about hot updates and legal cases from top-level industry experts.